The third OST (original sound track) for Channel A drama series Color of Woman is released on February 15th, 2012. 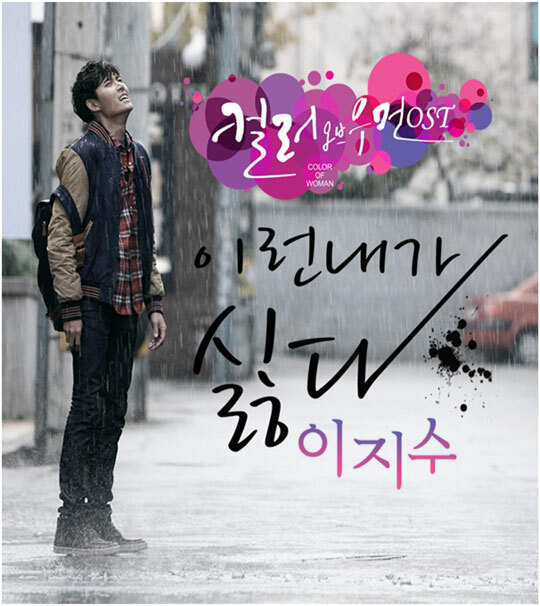 The Color of Woman OST part 3 includes a song with the title of I Don’t Like Myself (이런 내가 싫다). I Don’t Like Myself is song collaborated by groups Wanted and BoM. The song is sang by Lee Ji Soo (이지수) of the new group BoM and written by the sing-a-song-writer Kim Jae-Seok, who is currently performing for Wanted’s 3rd album (Vintage). Lee Ji-Soo’s melancholy voice adds to the sorrow of the song. The song has been perfected with the acoustic guitar which starts out by setting the sad tone for the song, the mellow piano tunes of the pianist AEV who was the joint composer for the song, and Lee Ji-Soo’s detailed voice. The lyrics are heartbreaking as it expresses the heart unable to forget a past lover, having to give up everything since there is nothing one can do. My heart is still looking for you, but why we never interwined? Have you forgotten me now?